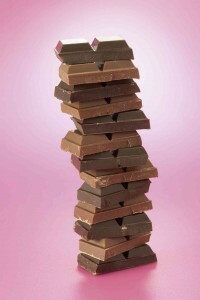 Did you know that the zinc in dark chocolate can help prevent hearing loss? As we age, it’s essential to protect our ears from hazardous noise exposure and keep ear infections at bay. But did you know that a healthy lifestyle with plenty of exercise and a balanced diet can help prevent or delay hearing loss? Here are a few foods that can help you maintain healthy hearing, and perhaps even avoid the need for a hearing aid. Omega 3 fats and Vitamin D are typically found in fish such as salmon, tuna, trout, or sardines. These vitamins have a positive effect on hearing, and studies show that adults who ate fish twice a week had a 42% lower chance of age-related hearing loss than non-fish eaters. Researchers say that this is because Omega 3 fats strengthen the blood vessels in our ear’s sensory system. Fish is your ear’s best friend! Folic acid is an antioxidant commonly found in spinach, asparagus, beans, broccoli, eggs, liver or nuts. Antioxidants work to prevent hearing loss by reducing the number of free radicals that can cause damage to nerve tissue within the inner ears. It is believed that folic acid can reduce the risk of hearing loss by up to 20%. The magnesium found in bananas, potatoes, artichokes and broccoli has been shown to provide extra protection against noise induced hearing loss. Zinc found in dark chocolate or oysters can also help deter age related hearing loss. Vitamins C and E also act as hearing supplements to keep free radicals in check and improve the health of your overall immune system, therefore reducing the risk of ear infections. You can find these vitamins easily in vegetables (peppers) and fruits (oranges). Eat healthy, hear better! This entry was posted on Friday, November 4th, 2016 at 12:08 pm. Both comments and pings are currently closed.